A.K.M. 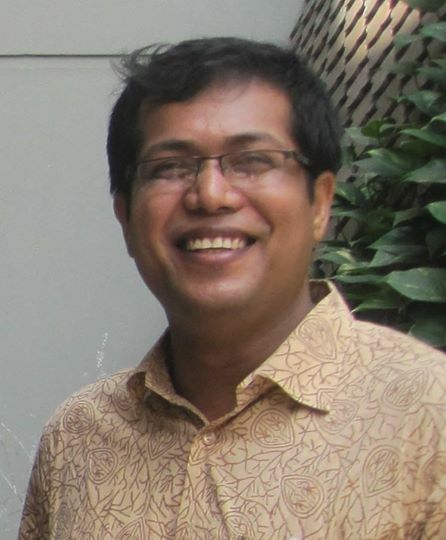 Nurul Alam familiar in his nickname Apu is working as Deputy Director of Bangladesh Bank Library. Previously he worked at the United Nations Information Centre (UNIC) in Dhaka. He received his MA & BA in Information Science and Library Management from University of Dhaka, Dhaka, Bangladesh. Mr. Alam also completed Advanced Certificate Course on Modern Library Practice under ITEC Scholarship in India. He is the localization contributor (Bangla) of Senayan Library Management System (SLiMS) – a popular web-based library management system having digital library support. He is also the Country Coordinator of SLiMS Bangladesh. Mr. Alam has been awarded TLT Young Excellence Innovation Award 2018 for incorporating Bengali interface in SLiMS. He is involved with various voluntary works. He took part in various Information Literacy Training Programme for secondary level students and involved in professional development programme and library development consultancy programme. He has interest in library-based information technology and good knowledge of windows and Linux based operating systems, different application software like MS Office, graphics design software like Photoshop & Illustrator and etc. He has sound knowledge of different content management systems like Drupal, WordPress, and Joomla. He is also sound in digitizing from paper documents to pdf including OCR. He is also a PHP-MySQL based web-programmer and develops various websites including BALID & CIS,B and implemented a Point of Sale (POS) system in a super-shop. He is the core developer of BALID Membership Database system. He is a member of LAB and BALID.